62m.—Initial capital letter “M” from Dance of Death Alphabet. 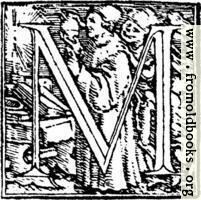 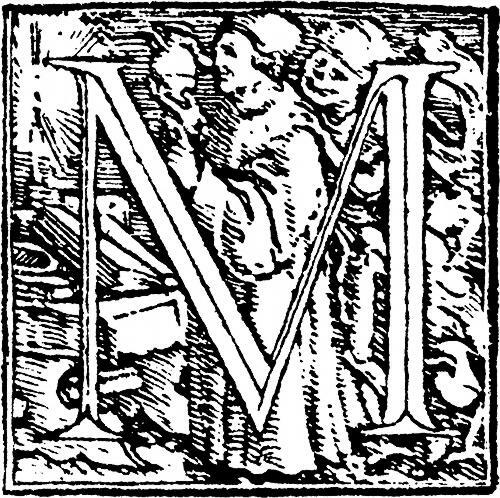 This decorative initial letter “M”, or drop cap, is from an alphabet designed by Hans Holbein and dating from 1523. 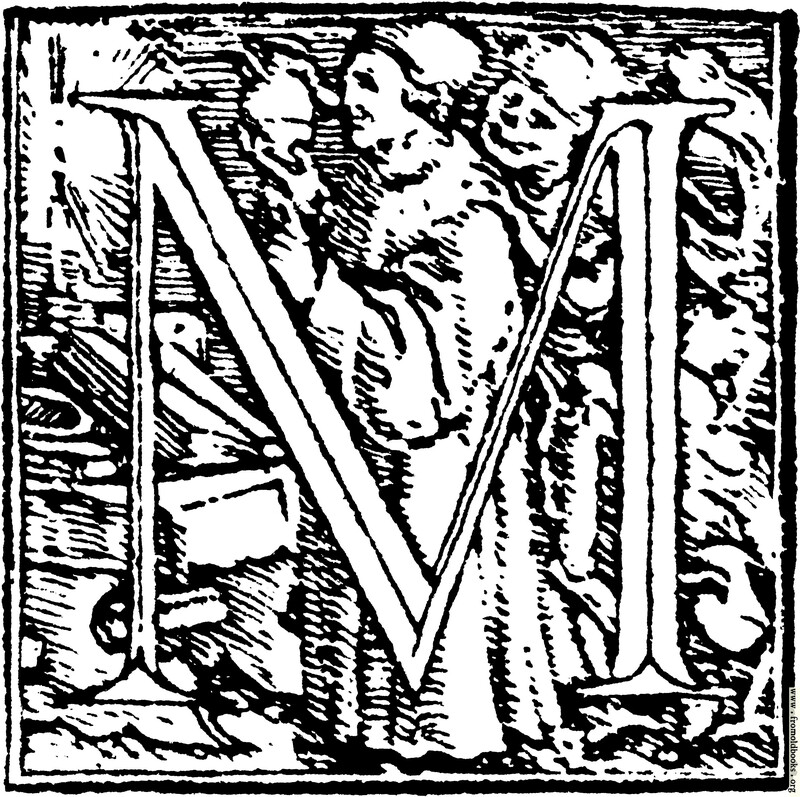 It shows a doctor of physician in his study or laboratory, holding up a vessel. Behind him, Death (the skeleton) reaches for the doctor, with one bony hand on his shoulder and the other on the vessel. 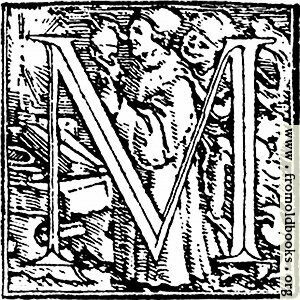 Or, possibly, Death holds the vessel: maybe it’s really an hour-glass?